Size: 3 mo. Size: 6 mo. Size: 9 mo. 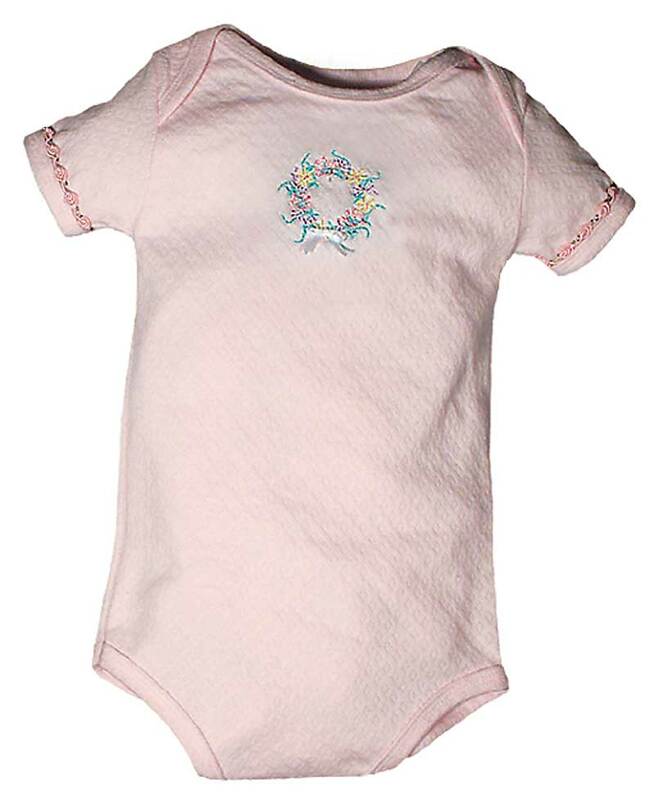 This traditional pink body suit is just precious for a new baby girl! So soft and cute with beautiful floral trim!